I dragged my son to an educational technology conference this afternoon. He brought along some stuff for drawing. But, did he want to draw a bunch of adults in the room? Nope. 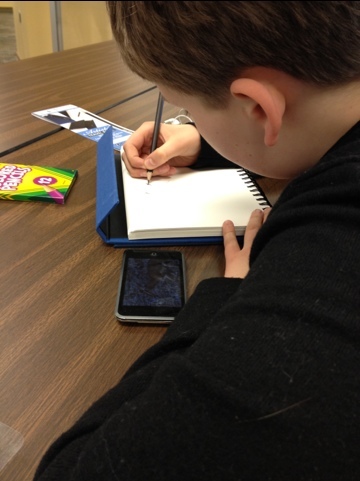 Well – he pulled out his iPod and found a photo of an animal to draw. Gotta admit I wouldn’t have thought of doing that.